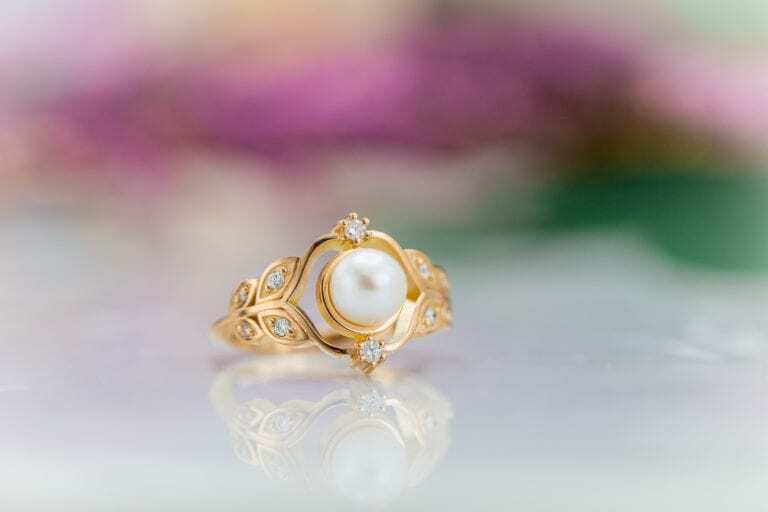 Home » Learning Center » Gemology » Questions About Gems and Jewelry » Fake News in the Gem Trade: A Waterworn Emerald from Chivor? 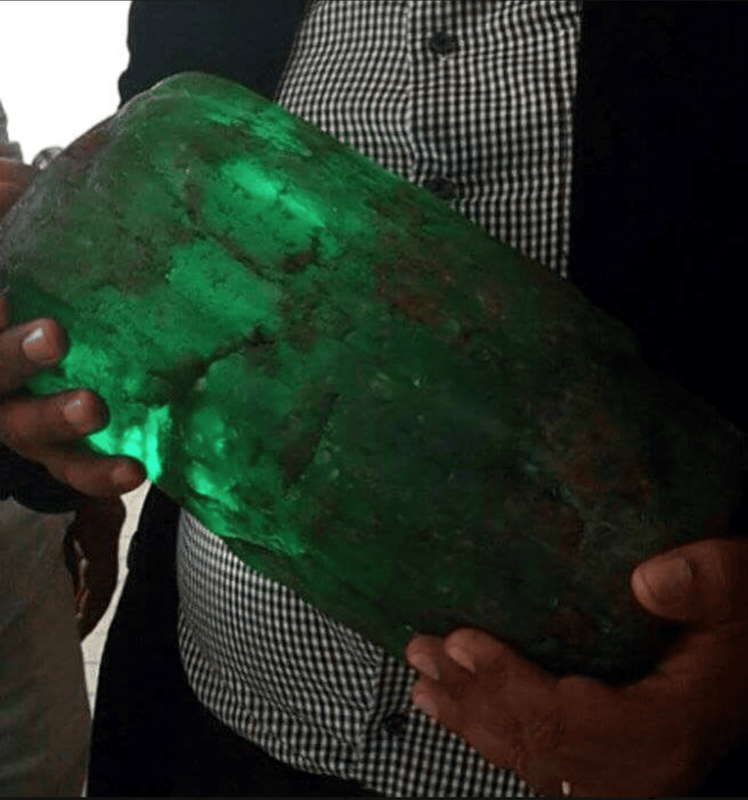 Recently, a number of websites and social media pages reported on one of the largest emeralds ever found. 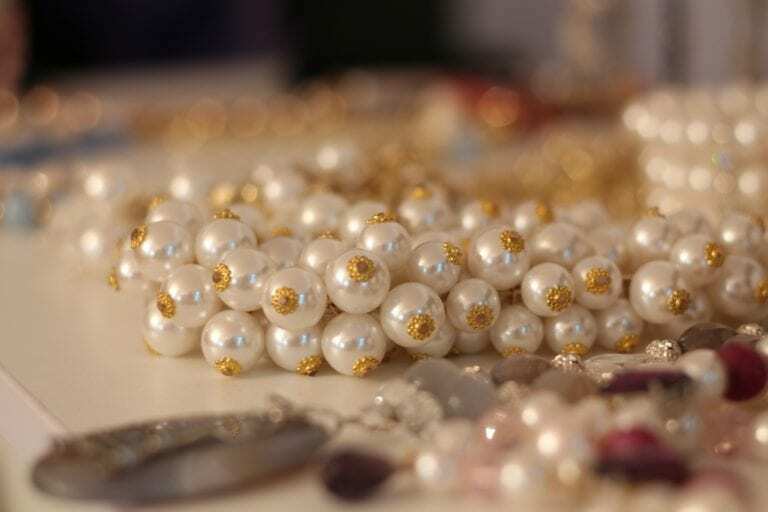 Allegedly, it was recently extracted from the Chivor mine in Colombia. From the photo accompanying the story, the specimen in question may have weighed several kilograms. But is this story just fake news? 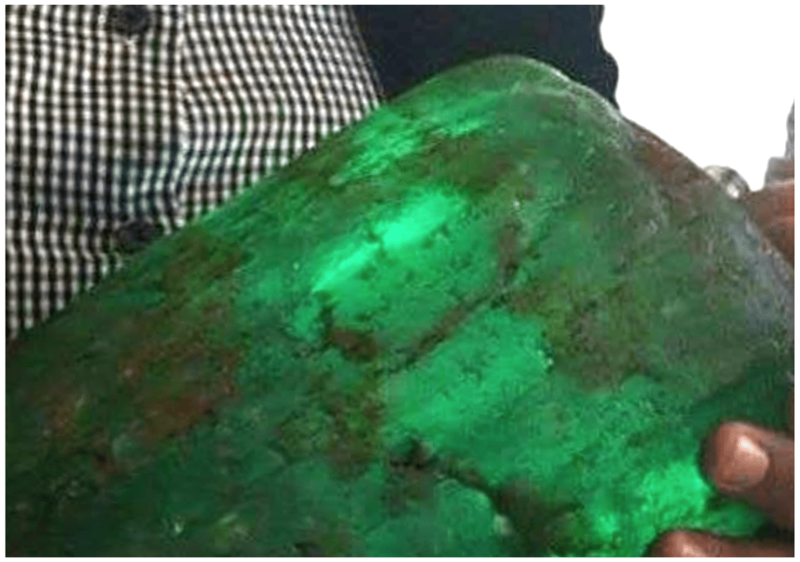 The supposedly recently extracted “Chivor emerald.” Photo attributed to JR Colombian Emeralds via Amazing Geologist. 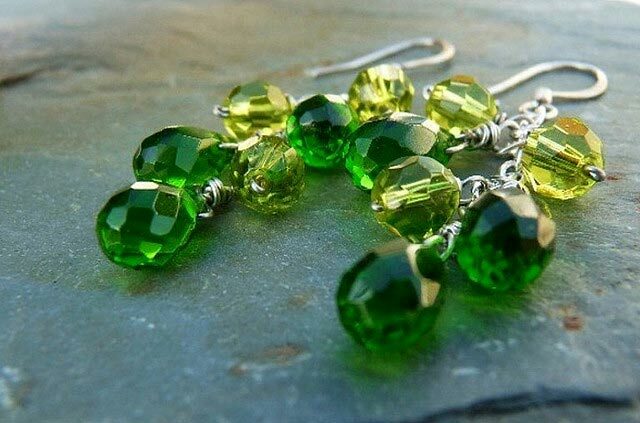 What Should Chivor Emeralds Look Like? 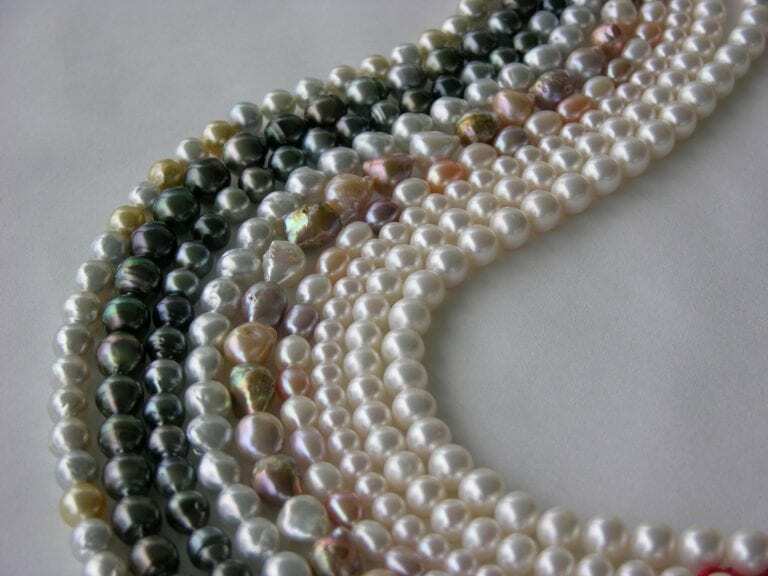 To experienced gemologists or geologists, the first clue this was a bogus story is obvious. The specimen in question has a rounded surface, thus indicating it came from a waterworn, alluvial deposit. However, the Chivor mine in Colombia is a hard rock deposit. 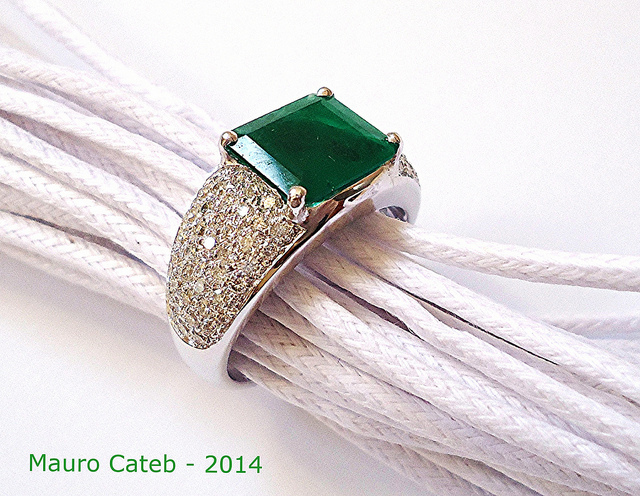 This means emeralds extracted from it will have sharp, angular crystal faces rather than rounded surface features. In situ emerald crystal from Chivor mine, Colombia. 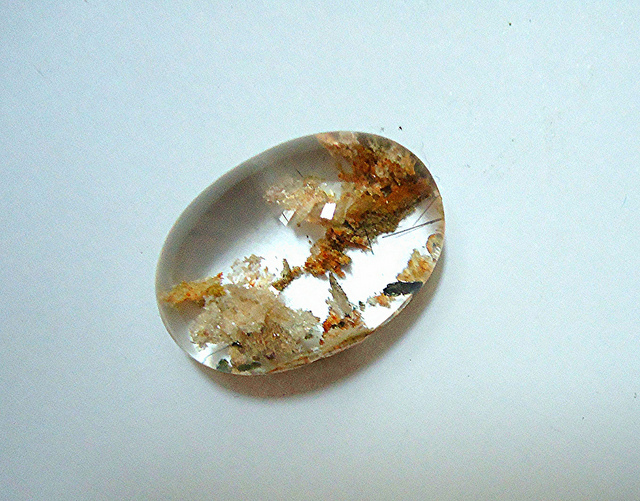 Photos © Ancient Earth Trading Co.
A Waterworn Emerald from Madagascar? 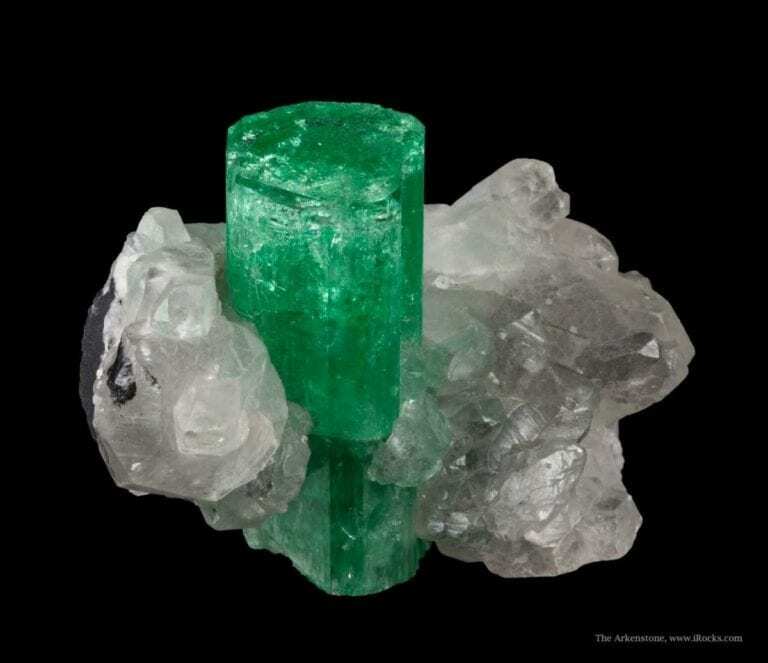 Over a decade ago, several exceptionally large, waterworn emerald crystals were reported from Madagascar. At the time, there was general uncertainty regarding their identity. 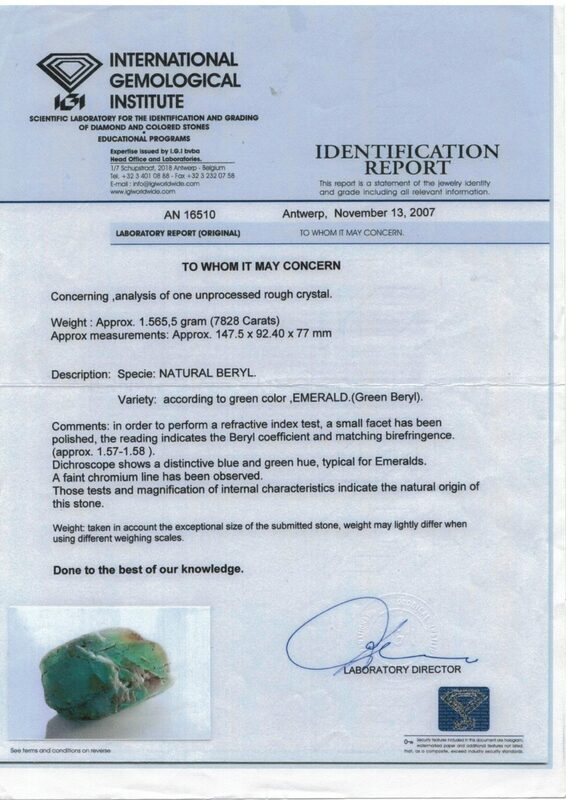 Did they actually qualify as emeralds or were they more properly classified as just green beryls? A waterworn emerald/green beryl, reported from Madagascar in 2007. Photo sources unknown, courtesy Jeffery Bergman. 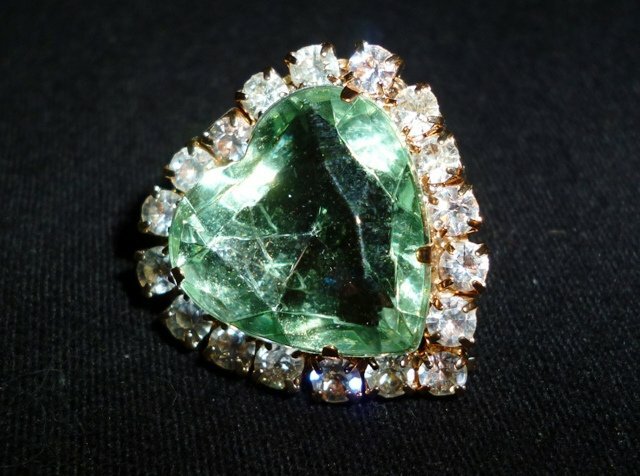 To my knowledge, the only gemological laboratory that identified them as emeralds was the International Gemological Institute (IGI) in Antwerp, Belgium. However, the IGI didn’t issue an opinion on origin. 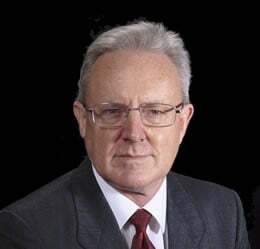 The 2007 IGI report. Photo source unknown, courtesy Jeffery Bergman. Are These the Same Crystals? 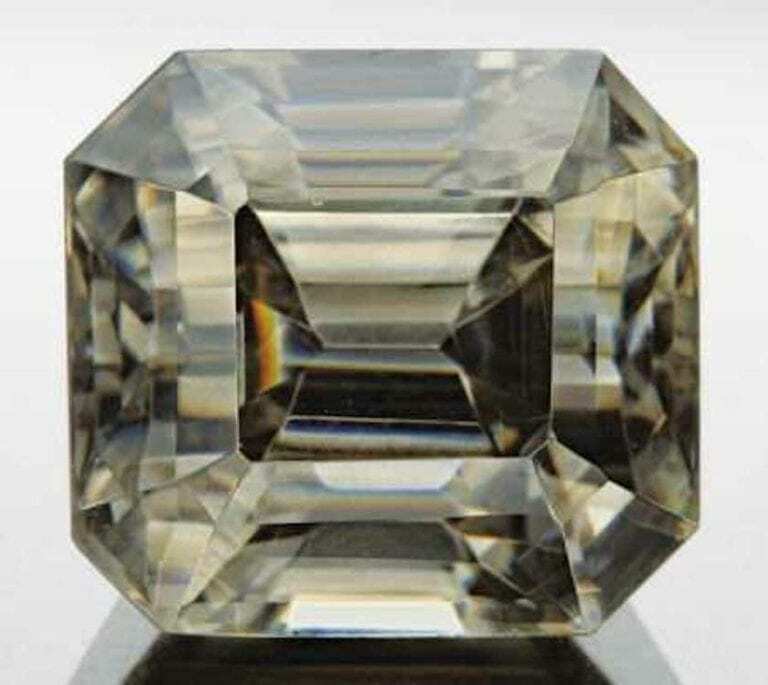 Although it’s impossible to determine if the specimen in the 2007 IGI report is the same crystal as the one reported by JR Colombian Emeralds via Amazing Geologist, they do have some remarkable similarities. 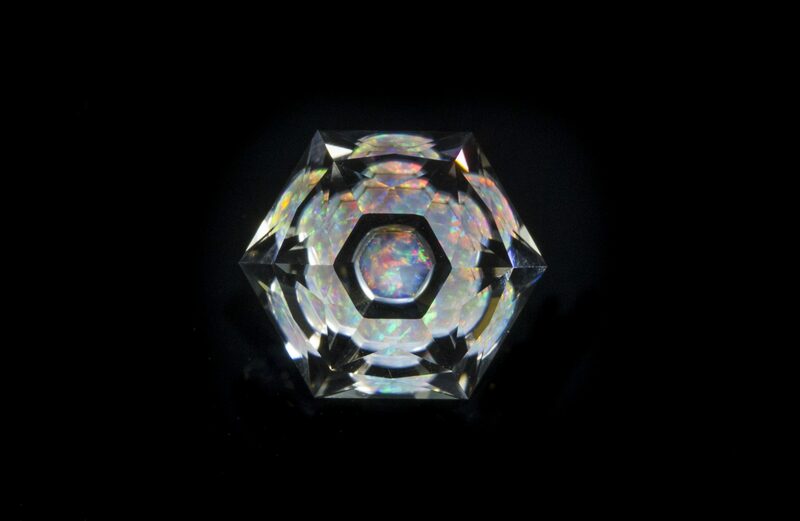 The two crystals have virtually identical hue, tone, and saturation. They also both have waterworn rounded surface features as well as distinct orangey yellow iron oxide staining. Photo attributed to JR Colombia Emeralds via Amazing Geologist. I conclude that the claim by JR Colombian Emeralds via Amazing Geologist that the specimen was “recently extracted from the Chivor mine in Colombia” is, indeed, fake news. 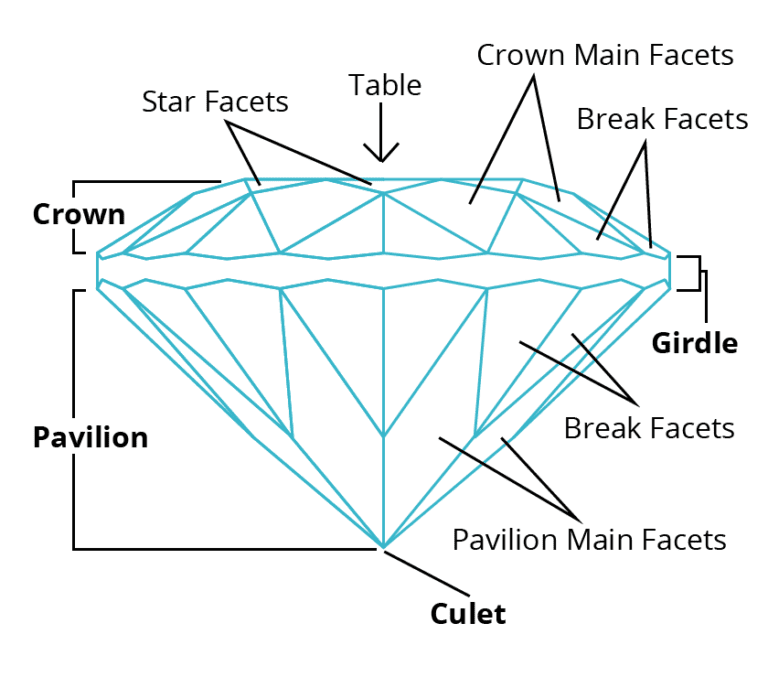 Editor’s note: For a list of some of the largest known emeralds, see this article by Mr. Bergman.